Sorry for not updating. I am currently moving across the country, starting a new job, and buying my first house. It's all very exciting and nerve racking. 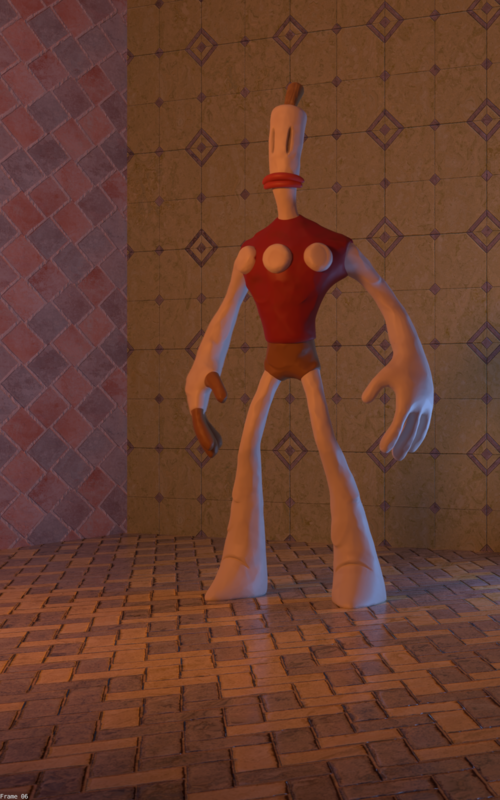 On another note, I have been testing using RenderMan in my Blender pipeline and so far have had great success. Below is a test render. I did not create the model! I only painted the texture and setup the shader. I used materials from Material Pipeline - ONELVXE . Which are doing great in RenderMan. They are built for Cycles, but I am having no problems. Be sure to open the full image as this is a rather large render. Here is an old test render animation. that's a great looking render man!. I didn't know about you moving, getting a house and stuff, we should talk again soon!, I'm starting animation in school so i'll put our panel to extensive testing ! Dᴀᴛɪɴɢ ɪɴ Pᴀᴋɪsᴛᴀɴ ɪs ɴᴏᴡ ɴᴏᴛ ᴊᴜsᴛ ᴀ ᴅʀᴇᴀᴍ, ᴍᴀᴋᴇ ᴀ ᴅᴀᴛᴇ ᴏғ ʏᴏᴜʀ ᴅᴇsɪʀᴇ ʙʏ ᴄᴀʟʟɪɴɢ ᴜs ᴛᴏ ᴄᴏɴᴠᴇʀᴛ ʏᴏᴜʀ ʟᴇɪsᴜʀᴇ ᴍᴏᴍᴇɴᴛs ɪɴᴛᴏ ʟᴏᴠɪɴɢ ᴏɴᴇs. Esᴄᴏʀᴛs in Lahore ᴀʟᴡᴀʏs ᴡᴇʟᴄᴏᴍᴇ ᴛᴏ ᴏғғᴇʀ ʏᴏᴜ ʙᴇsᴛ, ᴛᴏᴘ ᴍᴏᴅᴇʟs ᴀɴᴅ ʙᴇᴀᴜᴛɪғᴜʟ ᴇsᴄᴏʀᴛs ɪɴ Pᴀᴋɪsᴛᴀɴ. Eᴠᴇɴ ɪғ ʏᴏᴜ ᴀʀᴇ ɪɴ sᴇᴀʀᴄʜ ᴏғ Cᴀʟʟ Gɪʀʟs, ғᴇᴍᴀʟᴇ ᴇsᴄᴏʀᴛs ᴏʀ sᴛᴜɴɴɪɴɢ ʟᴏᴠɪɴɢ ᴏɴᴇ, ʜᴀᴠᴇ ʟᴏᴏᴋ ᴀᴛ ᴏᴜʀ Esᴄᴏʀᴛ Gᴀʟʟᴇʀʏ ᴛᴏ ᴍᴀᴋᴇ ᴀ ᴄʜᴏɪᴄᴇ ᴀɴᴅ ᴄᴏɴᴛᴀᴄᴛ ᴜs.